For some, making a decision about Senior Living can seem overwhelming, but it doesn’t need to be. At Wesley Willows, our team of experts have helped thousands of families find the right Senior Living community. There is information here, and we’d love to meet with you personally to listen to and answer all of your questions. Then, you can see for yourself what active Senior Living looks like for you at a Wesley Willows community. When looking at Senior Living options, the first step is to envision the kind of life you want for yourself. Now that you have the time, perhaps you have hobbies and interests you want to explore. Maybe you want to live in a community of friends just like yourself. Perhaps you no longer want the hassle of maintaining a house. Most importantly, you may be thinking about your future health needs. You want a living option that helps you shape the life you want and offers options to meet your changing needs – whatever they may be. First, it helps to understand the levels of support available in various Senior Living communities. Independent living communities are also referred to as retirement communities. Residents remain as independent as possible in their personal care, but the community offers options for more hassle-free living like household maintenance, cleaning, laundry, grounds keeping and meal plans. Independent living also focuses on amenities like fitness centers, community gathering spaces, onsite services like banking and salons as well as social events and outings. Assisted living supports residents in their independence while providing helping hands where needed. Assisted living communities provides a wide range of care which may include help with bathing, grooming, laundry, meals and more. Assisted living communities often have licensed nurses and other health care staff on site at all times. They also may provide the same types of amenities and social opportunities available in independent living/retirement communities. For those with more complex health needs, skilled nursing or memory care facilities support daily living and health care. Skilled nursing facilities are designed, equipped and staffed to meet the full needs of residents. Home maintenance, personal care, meals, regular health visits, housekeeping and other essential services are a part of residential life. Licensed nurses and other medical staff oversee the health and safety of residents while life enrichment staff ensure a consistent and full schedule of appropriate activities. Residents who require more personalized attention, like those living with dementia, benefit from a community with staff who specialize in Memory/Alzheimer’s Care. Home care options include a broad array of health and personal care services which can be provided to a Senior within his/her home. Services may include companionship and running errands, assistance with essential daily living activities or specialized health care. Rehabilitation services help Seniors recover, relax and rejuvenate in a home-like setting after illness or surgery. Some Senior Living facilities offer rehab units onsite for residents and non-residents alike. Generally, the goal of a rehabilitation facility or unit is to help residents return to an independent lifestyle as quickly as possible. Rehabilitation units vary dramatically in equipment, specialized therapists and services provided. 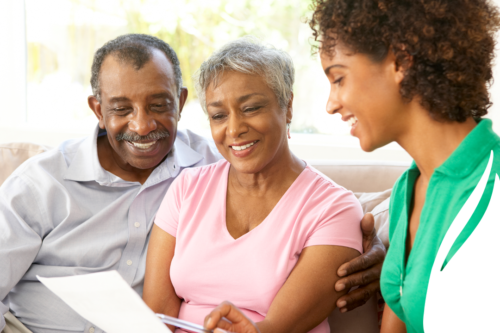 A CRCC is an option for Seniors who want to plan for their changing needs. A community designated as a CRCC offers a variety of housing and care options on a single campus, preventing the need for a resident to move to a new facility if health needs change. A CRCC might offer additional healthcare services either in their home or in assisted living or skilled nursing facilities. For most Seniors who select a CRCC this is a lifelong decision, so knowing the programs, services and amenities offered is critical. We would be happy to help you understand the financial considerations and options regarding entrance fees, one-time health care investments and monthly fees. We can help you compare the cost of living in one of our communities to the cost of living in your current home or other community. We’re confident that you’ll find Wesley Willows communities to be an excellent value, and surprisingly affordable. Most Seniors want to conserve their finances while still enjoying a high quality of life and the promise of a secure future. 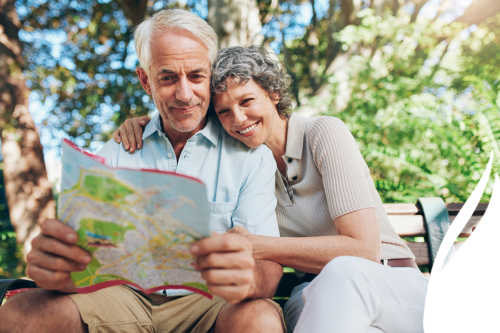 Wesley Willows offers multiple community options, including a Continuing Care Retirement Community (CCRC) and a host of program and service options for many budgets. By helping us understand your wants, needs and financial considerations we can recommend the best options to meet your desired lifestyle now and into the future. Wesley Willows is always willing to provide appropriate financial information to help prospective residents understand our fiscal health, too. At your request, we can share our audited financial statements; accreditation documents; information on our amount of debt and financial reserves; and financial forecasts so you feel secure in your choice. Moving is sometimes a difficult decision, and it can be hard for children and other family members who may have fond childhood memories attached to a home. You’ll want their support, and they will need you to help them deal with the change. Be candid in sharing your hopes and dreams for this next phase of your life with your family. Tell them why you want to move, whether it’s for social opportunities or health concerns. Offer them the opportunity to tour of one of our campuses. Seeing our communities and talking to our happy residents should go a long way in reassuring them that you are making a good decision. Ultimately, they will see what you see – that active Senior Living is about making new memories for you and your family. To help you with this process, our professional Senior Living Counselors are available to guide you through this conversation. As experts trained in facilitating these conversations, listening and understanding your circumstances and experienced in helping Seniors through every step of this process, we encourage you to take advantage of their support and guidance. Only you can decide when it’s the right time to move to a Senior Living community. 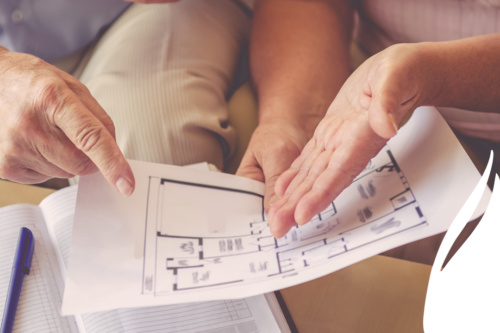 If you find yourself increasingly burdened by home maintenance, anticipating health challenges or simply wanting a more exciting social life within a community of people much like you, now may be the right time to start planning a move. To make the transition easier, we offer a variety of services. We can provide a professional organizer to help with the overwhelming task of right-sizing; specialized packing and moving services; and a home sale program to alleviate the burden of selling a home. All of these services are designed to make the transition seamless, allowing you to focus on the exciting parts of becoming a member of one of our vibrant communities.